The Board of Regents, Landmark University, Omu-Aran, Kwara State, has appointed Dr. Azubuike Ezenwoke as the new Registrar of the University. Dr. Ezenwoke who recently bagged his doctoral degree at Covenant University was until his appointment, the Dean of Students, Covenant University, Ota; Landmark’s sister university also owned by the same proprietor, the Living Faith Church Worldwide (aka Winners’ Chapel). 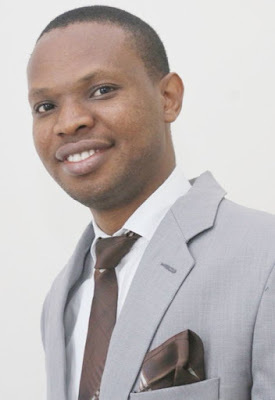 At 32, Dr. Ezenwoke arguably is the youngest university Registrar in Africa. A 2007 First-Class graduate of Computer Science at Covenant University, Dr. Ezenwoke was the first graduate of Covenant University to be appointed the Dean of Students two times in the same university, 2011 and 2016. In his undergraduate days, he was the Chairman, Students Council, what is referred to as Student Union Government in other universities. He teaches undergraduate classes Computer Programming I (C Language), Computer Programming II (C++ Language), Internet Programming, Introduction to Problem Solving, Structured and Sequential Programming (Python) among others. Dr. Ezenwoke is married with children.